Available to students who have been accepted into Sacred World Assembly formerly Vajrayana Seminary and to those who have already attended. Please include the year you attended in the comments section of your order. This collection of talks is the basis of preparation for those who have been accepted into Sacred World Assembly formerly Vajrayana Seminary. 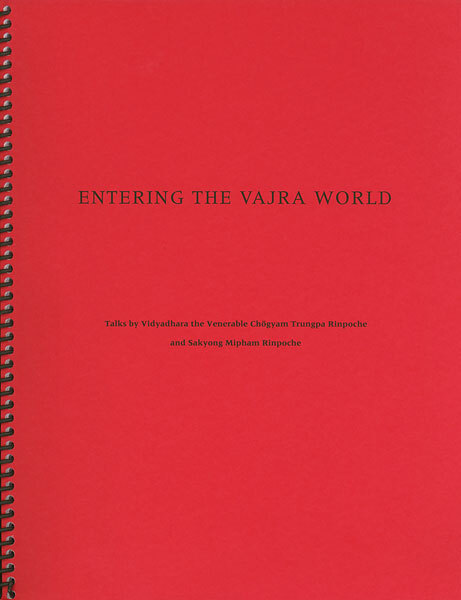 It includes thirteen talks from the vajrayana section of the Vajradhatu Seminary on basic vajrayana topics, reedited for this sourcebook. 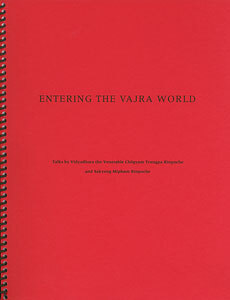 Contents include talks by both the Vidyadhara Chogyam Trungpa Rinpoche and Sakyong Mipham Rinpoche on such germinal topics as devotion, vajrayana culture, the preliminaries, samaya, and creating enlightened society.